Hot Lava poured on this upcoming kids release. Being a younger sneakerhead pays off once again in the form of this all-new colorway of the Air Jordan 5. Set to release exclusively in gradeschool sizing, the shoe sports a wolf grey upper, lined in black and tied together with a set of speckled laces. White picks up at the midsole, while hits of hot lava pop off the tongue lining, lace lock, #23 embroidery and outsole. 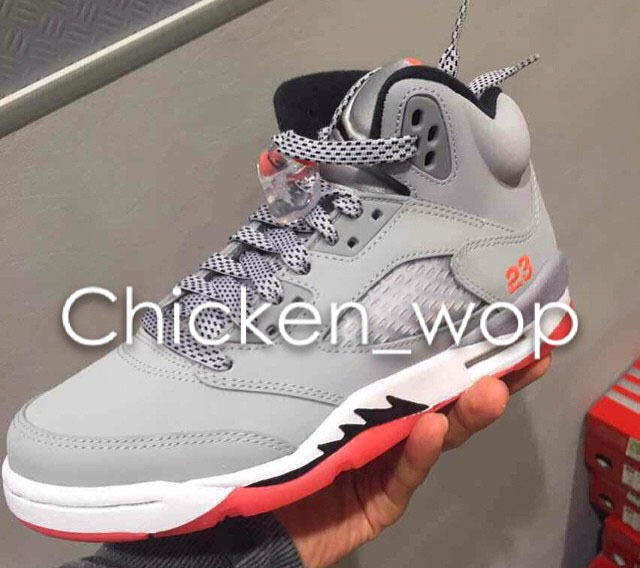 The early word is that this colorway will release in early May for $140. 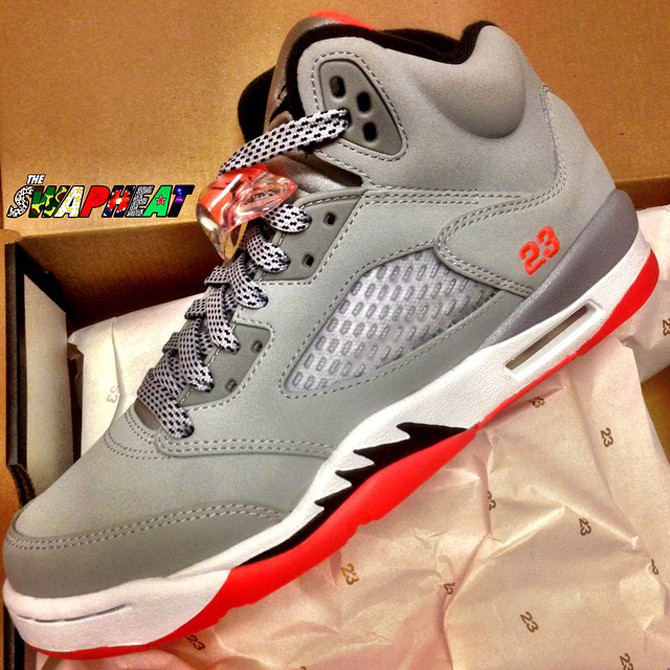 UPDATE 4/21: Another look at this May Jordan 5 GS release.